This short review appeared on The Upcoming website here as part of their coverage of the BFI London Film Festival. 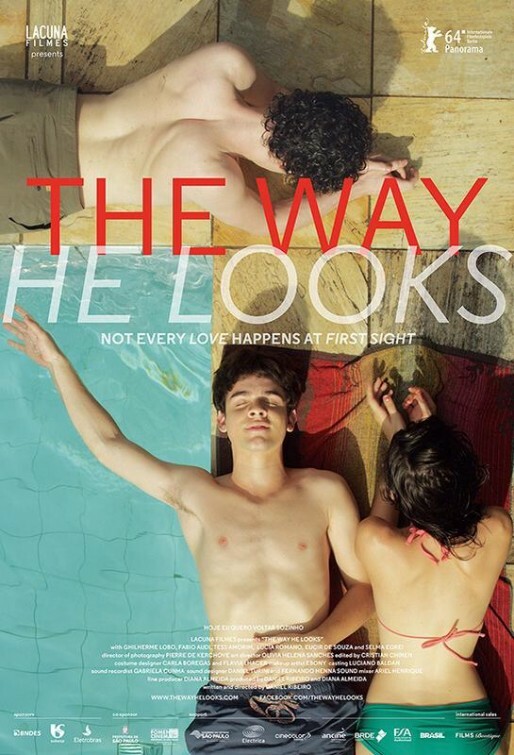 The Way He Looks is writer-director Daniel Ribeiro’s feature debut. 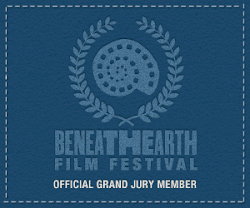 Adapted from his own 2010 short film Eu Não Quero Volta Sozinho, the film is Brazil’s official entry for the 2015 Academy Awards. Leonardo (Ghilherme Lobo) has been blind since birth. His best friend, Giovanna (Tess Amorim) helps him out and seems to have developed a crush on him, one that he is unable or unwilling to notice. When a new classmate, Gabriel (Fabio Audi), arrives and almost immediately strikes up a friendship with Leonardo, Giovanna begins to feel left out. The Way He Looks is a film about disability, but it manages to transcend that often patronising and mawkish subgenre. Ribeiro and Lobo make sure that Leonardo is a three-dimensional, even somewhat complex character, not simply a figure of pity or a medium for a message about disability. The film works best simply as a film about the difficulties of romance in high school, a coming-of-age film with villainous bullies, romantic misunderstandings and a soundtrack that makes good use of Belle and Sebastian’s “There’s Too Much Love.” The blindness is present but it rarely takes centre stage and it is easy to imagine that the film would not have been significantly different without it. That said, Ribeiro shows great versatility in conveying a burgeoning romance without the use of visuals. Leonardo’s growing affection for Gabriel is presented through sounds and smells, particularly in one touching scene in which Leonardo finds Gabriel’s jumper. Ribeiro is ably assisted here by great performances from his three young leads, all of whom offer complex performances rather than the types usually seen in high school dramas. Eucir de Souza and Lúcia Romano are both very good as Leonardo’s parents, trying to reconcile Leonardo’s maturation with their continuing worries about him. The film is not flawless, but it works as a likable and funny indie film about growing up and discovering one’s sexuality. It is an honest and largely non-judgemental depiction of young love – although Isabela Guasco’s Karina, is too quickly written off – and a sensitive portrait of a blind person’s attempts to fit in.